Mthwakazi Republic Party on Monday the 14th of May 2018 went on a fact finding mission at Entumbane High school in response to the sad outcry of the Entumbane Community and parents of students at the school. The party said the outcry was as a result of the school administration who spent the whole day chasing away students and parents who wanted to pay for the 2018 Final ordinary level examination fee, reasons being of unpaid debts, which can even be paid later on after the crucial registration phase . Entumbane High headmaster Mr T. G. Magutshwa confirmed that last week he was phoned by parents and the committee for talks on the similar problem, after then he was made to believe that now all is well not aware that some of his subordinates in the school administration like the Bursar a Masiyatsva were sabotaging him by continually shutting doors for parents and students who wanted to pay. According to teachers, parents and students who gladly engaged with MRP, the Entumbane High school seems to be torn apart between the Ndebele and Shona camps a now usual scenario in MATEBELELAND. While the respectable seniors like the school deputy Mr J Tshuma are fair and linient to grievances, some Shona teachers like one Utete are arrogant and very disrespectful even bully to the school staff. The ministry of Primary and Secondary Education official registration deadline is on Friday 18 May 2018 but the school just like any other Zimbabwean unorganized form of leadership has choosen to officialise 14 May 2018 as means to accomodate private candidates to register who will pay big amounts in centre fees,unfortunately corruption is being cooked to take bribes from private candidates who are desperately seeking to register . Bribes and corruption is being planned at the expense of students and parents getting a reasonable period to pay . The issue of debts can be solved through a payment plan not by denying Candidates to register for final ordinary level examination sitting. 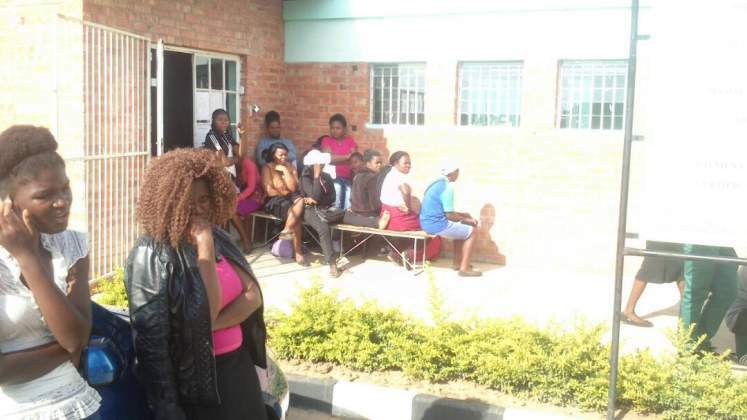 MRP condemns such crucial acts of turning away students and parents also considering how the poor economy of Zimbabwe is giving people a hard time to earn a living. Unfortunately this element of the Shona 1979 Grand Plan seems to be happening in all MTHWAKAZI High schools, colleges and universities. 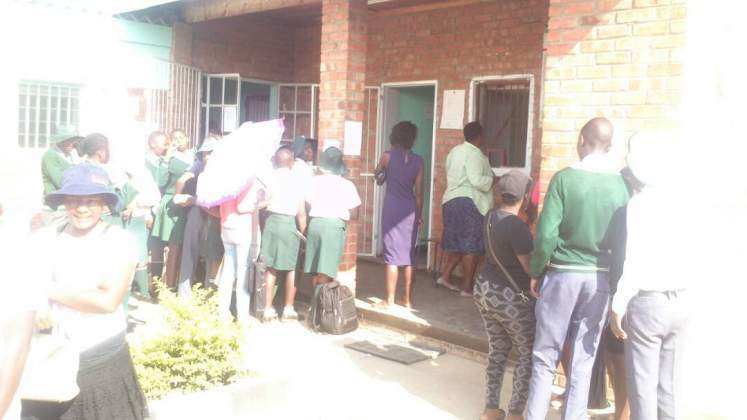 Whilst our Mthwakazian students are being refused their basic rights to education, we have obseverd a huge number of Exam Paper leaking in Mashonaland ( yet another Shona1979 Grand Plan of making MTHWAKAZI people uneducated so that they dont get jobs and live in poverty while Shonas are being equipped with illegal means of the education system to pass exams ). How are we suppose to develop when schools give parents a hard time to do a simply thing of paying for their Children's final ordinary level examination fee? MRP In unison with the ENtumbane community and rest of MTHWAKAZI we stand United condemning these nonsensical happenings in our schools and institutions. If peace is to prevail in the education sector let no elements of Shona1979 Grand Plan be found to prejudice our Children. Team MRP was lead by National Youth Chairman Xolani Ncube in the company of Cde Marshall Sibanda, Cde Lucky Maphosa, Bulawayo Central Aspiring MP candidate Cde Sehlisile Ndebele and YOUTH league members. We thank the school head Mr T. G. Magutshwa and his Deputy head a Mr J Tshuma for engaging team MRP in a professional way and assuring the team that all the parents who were Turned away from the morning by this Insane Bursar a Masiyatsva in connivace with Utete will be attended to and have their children registered to sit for the final ordinary level November 2018 examinations whose official deadline according to the Equally corrupt and uprofessional Zimsec is on Friday the 18 of May 2018. As team MRP that was tasked by our President Mqondisi Moyo after hé got a lot of calls from Entumbane parents. MRP would like to urge all affected parents and their children to go back to school today and pay for the examinations as it is our belief and as per our agreement with the school head and his Deputy that outstanding termly fees cannot be mixed with the crucial examinations registration which Has a deadline. Denying Children to register for their final exams is depriving children their Rights to education as stated in the Constitution and United Nations' Universal Diclaration of Human Rights , especially after having toiled for four years in preparation for that examination. The failure by the parents to pay for their children fees should squarely land to the Current satanist government who have seen it fit to cause for the closure of industries in Bulawayo and continue to employ non Locals in the very few available employment opportunities, the heartless govt and the govt of thieves and liars. Few parents who spoke to us on condition of anonimity were very much excited for our team and the party at large for always being the voice of the voiceless and vowed to support and Vote for MRP as it is the Only political party with the welfare of the Mthwakazi suffering masses at heart. Fumed one old lady the MP of the area a Tshuma, whose name i have forgotten is very useless together with the councillor Masuku, they are clueless and have failed us as the community of Entumbane - Emakhandeni. They are liars like their president Nelson Chamisa who always make fake promises as, witnessed on his BBC Hard talk last week, says Gogo MaThebe.